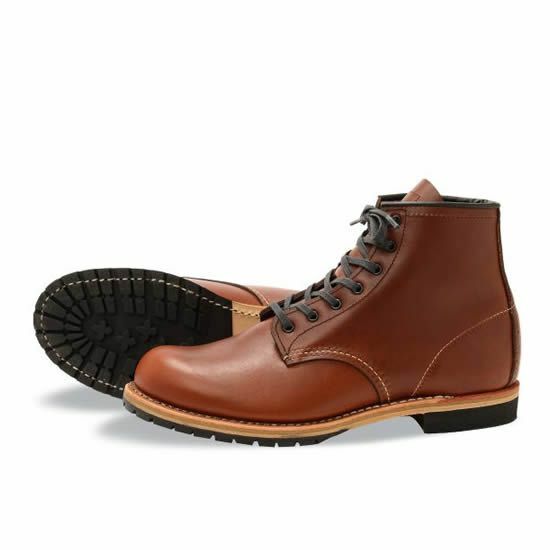 Harkening back to a time when a gentlemen wore functional footwear with a touch of class, the Beckman Collection is named after the founder of the Red Wing Shoe Company; Charles Beckman. Mr. Beckman navigated the muddy streets of Red Wing as part of his daily routine. He wore sturdy boots that could be polished to match his status as a successful Main Street shoe store merchant. Today the Beckman Collection consists of classically styled, comfortable boots that make them the perfect choice for nearly any occasion. Made with Red Wing\’s finest Featherstone Leather these boots are built to impress.